Enjoy the best inspirational, motivational, positive, funny and famous quotes by Alejandro Ramirez. Use words and picture quotations to push forward and inspire you keep going in life! Carlsen came with a line that was not very theoretical, trying to challenge the World Champion to play chess. 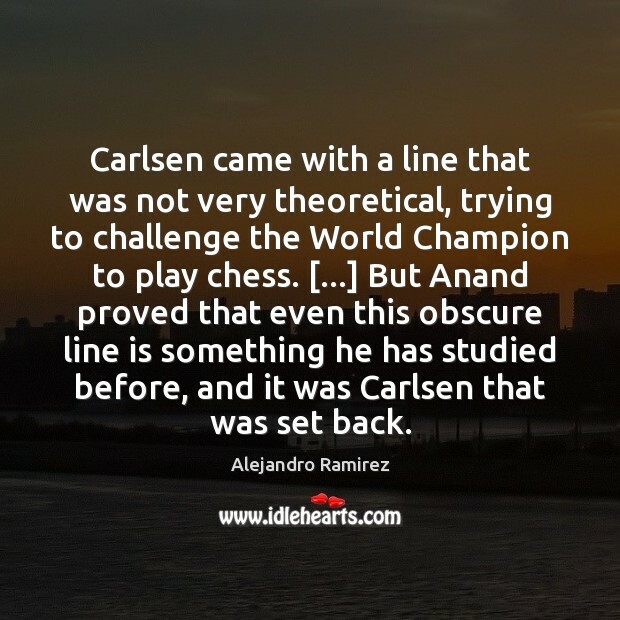 [...] But Anand proved that even this obscure line is something he has studied before, and it was Carlsen that was set back.